Thank you for your interest in Christian Science Nursing in Hawaii. This page explains about receiving care from a Christian Science Nurse (CSN) in the Hawaiian islands area. Looking for a Christian Science Nurse in Hawaii? 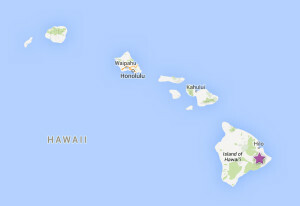 There are no formal Christian Science nursing facilities established (yet) in the state of Hawaii. There are two Christian Science nurses we know of who are available to help who will travel to you. 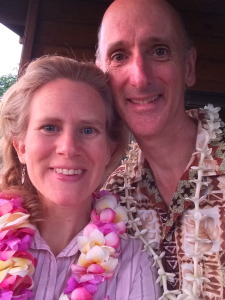 Rachel and Mark McClintick live on the Big Island in Hawaiian Acres in the Puna district (Hilo side). Both are experienced Christian Science nurses. Rachel is currently the only Christian Science Journal listed Christian Science nurse in the state. Both Rachel and Mark are currently available for new cases, both for short-term and extended care needs. Please call or text (808) 365-3385 or (808) 365-4279 24×7 if you have a need for a Christian Science nurse, or if you have any questions about Christian Science nursing. Christian Science nurses help individuals who need skillful physical assistance, while relying on Christian Science treatment for healing. Firmly grounded in Christian Science themselves, Christian Science nurses help foster a healing atmosphere and help people function as normally as possible while healing progresses. The care they provide can include such things as helping people bathe, preparing special modified foods, bandaging, and helping people who need assistance to move about. Christian Science nurses do not diagnose, administer drugs, or provide any sort of physical therapy or other medical treatment. Learn more about a Christian Science nurse’s work. Rachel McClintick, CSN trained at Peace Haven in St. Louis, MO, Broadview in Los Angeles and Fern Lodge in Castro Valley, CA. She has done private duty in Palo Alto and Laguna Hills, CA, Chicago, IL, and Kona, HI. She has been Journal-listed since 2013. Mark McClintick, CSN trained at Hill Top in northern IL, the Summit in central FL, Broadview, and Fern Lodge. He has done private duty in Florida and Kona, HI.